Diana - It's not only archaeology that can tell us about the first Australian settlers. DNA evidence has come up with some fascinating insights into the history of human migrations made thousands of years ago. Toomas Kivisild from the Leverhulme Centre for Human Evolutionary Studies at Cambridge University has been working specifically on the genetics of Australian populations. Toomas - Generally, the questions are about the relatedness of humans taken from different continents and trying to relate the similarities and genetic distances observed in DNA, with the known genetic evidence from the archaeology and anthropology. Diana - So we can look at Y-chromosomes which are handed down the male line and mitochondrial DNA which is handed down the female line, but once you've got this data from your samples, how do you go about processing it? What are the methods that you use? Toomas - There are two types of methods that can be used - one is phylogenetic methods, which is basically building up a tree from the DNA data, and secondly, one can use statistical methods in which, basically, the DNA data set is converted into a summary statistic, and then the summary statistics for different populations are compared. Diana - And tell me what you found once you had all these data? I mean, where does Australia fit into the story of human migration? Toomas - Firstly, I would have to note that there are a number of different hypotheses that would explain the origin of Australian Aborigines today, based on archaeological and skeletal evidence. Some authors have suggested that there is a possible continuity of the archaic hominin species in Australia, because some of the skeletal sites show the presence of archaic features and secondly, some authors have argued that the Australian aborigines originated through a rather recent migration from the Indian subcontinent. And while using mtDNA and Y-chromosome data, we tried to assess which of these theories would fit where the data. Our results give the highest support to the theory which supports the origins of Australian and New Guinean populations as well as Indo-European and the East Asian populations to the out of Africa migration, which occurred approximately 60,000 years ago. Diana - And that date matches up with the data that you're getting from your DNA evidence? Toomas - Most approximately, so the DNA based tools are never as accurate as the archaeological dates are, and so, they also depend on the sample sizes, which are not unfortunately, as good as they would wish them to be. Diana - So tell me a little bit more about the India theory, the idea that modern Australian aborigines are more closely related to people in India or Southern India. Where did this idea originate and why? 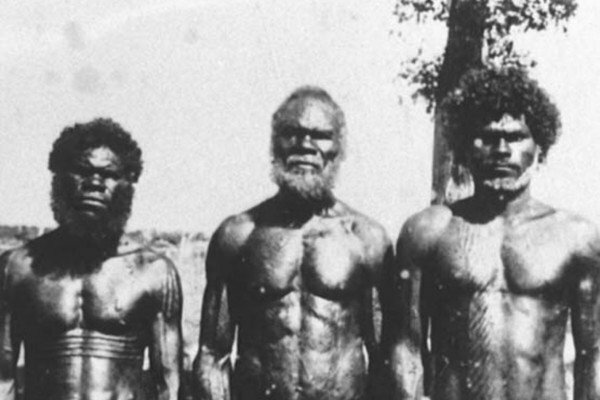 Toomas - I think the idea is traced back officially to Thomas Huxley, but probably more generally to the age of colonisations, when people were looking at the physical similarities that were quite striking between the Australian and the Indian populations, and similarly, for example the Andamanese populations are physically quite similar to the African populations. Nev,ertheless, they're genetically more similar to non-African than African populations. Diana - So the out of Africa model still holds, but do you have any evidence for the routes that they took to get to Australia? Toomas - This is all quite speculative because from the DNA evidence, we cannot really tell, but what is still currently one of the consensus views is that the route was the coastal rather than in land. People talk about two potential hypothetical routes out of Africa. One over the Arabian Peninsula, the so-called Southern route, and the other over the Sinai, the Northern route. Hopefully, the evidence would be found at some point that would definitely be archaeological rather than genetic, because from the study of modern day populations, such questions cannot be solved in sufficient detail. Diana - You mentioned earlier that it was difficult getting hold of enough samples. Why is that, and is there a plan in the future to increase the number of samples, and maybe bring this research a little bit further forward? Toomas - It depends on the willingness of the people themselves to give their DNA and unfortunately over the past 100 years, there has been a lot of misuse and abuse of not only DNA, but also other biological samples, and therefore, some populations of the world, native Americans and Australians in particular, are not very willing to cooperate with the scientists. Unless this attitude, or the conflict between the scientists and the native populations would be solved, then it remains difficult to get DNA from them. Diana - Cambridge University's Toomas Kivisild, demonstrating how archaeology and DNA need each other. Ben - It's great to see how biological sciences can be used to support and enhance archaeology, but does this relationship work both ways? Diana - Yes. So, as we discovered with the migrational DNA information that Toomas Kivisild has come up with, sometimes you need to tie that down to dates, so we can use archaeological evidence. But it works the other way as well. So, sometimes you'll have a bit of archaeology and you won't know who made it, who left it there, and this DNA evidence can give you some information as to who was there and how they got there.